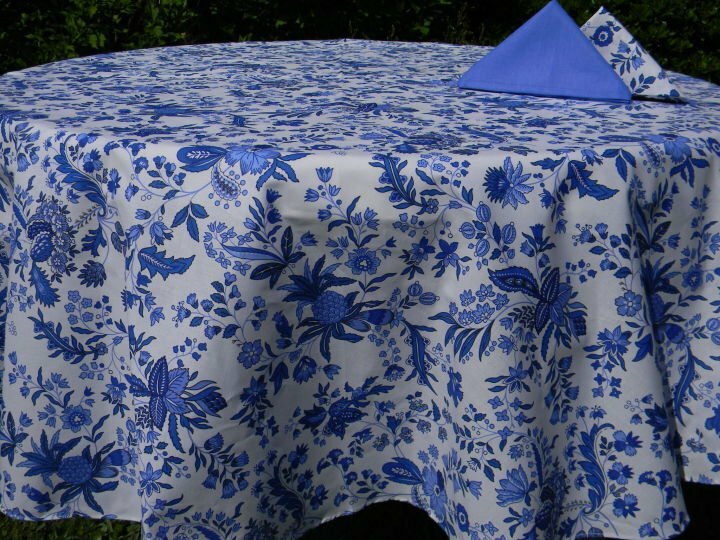 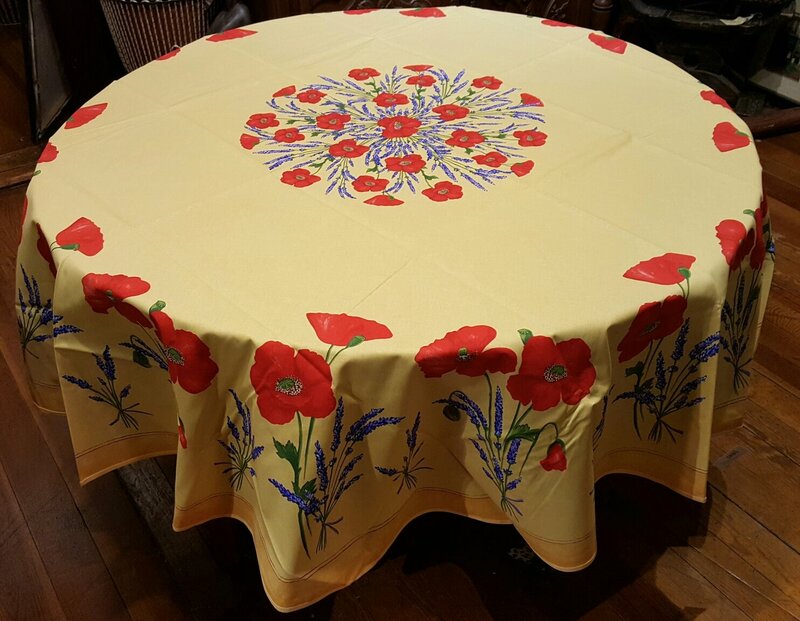 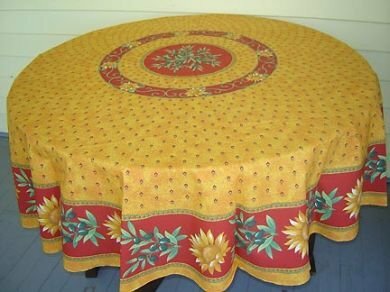 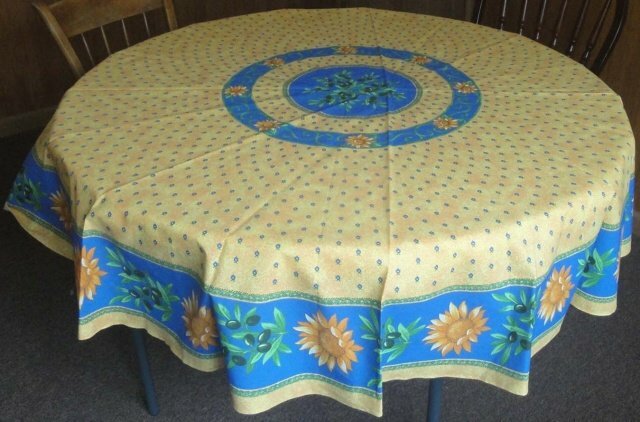 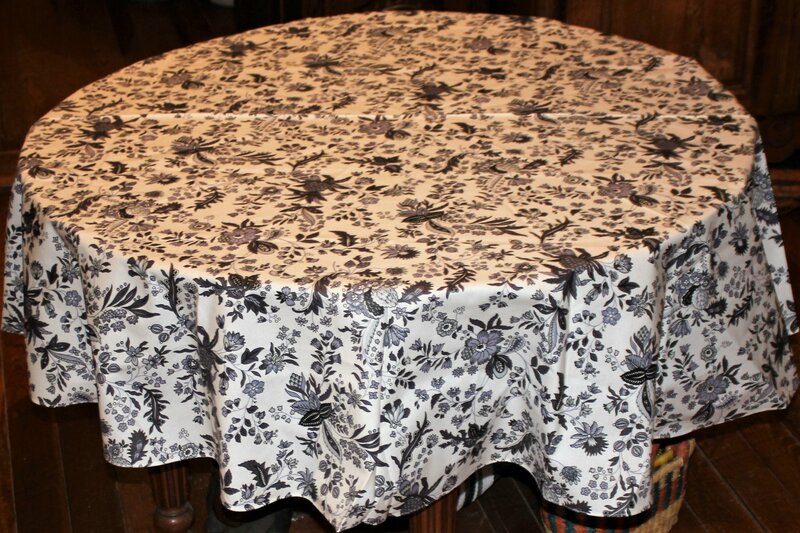 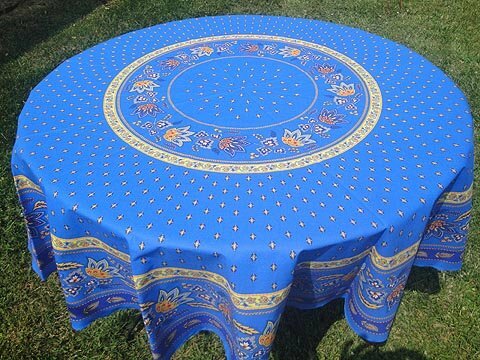 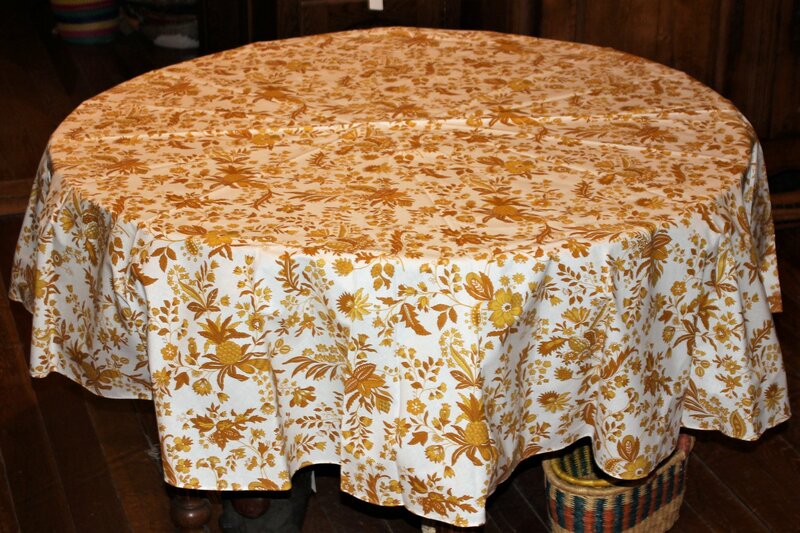 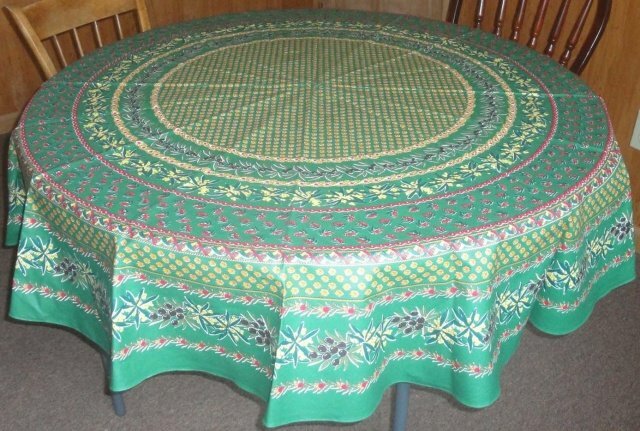 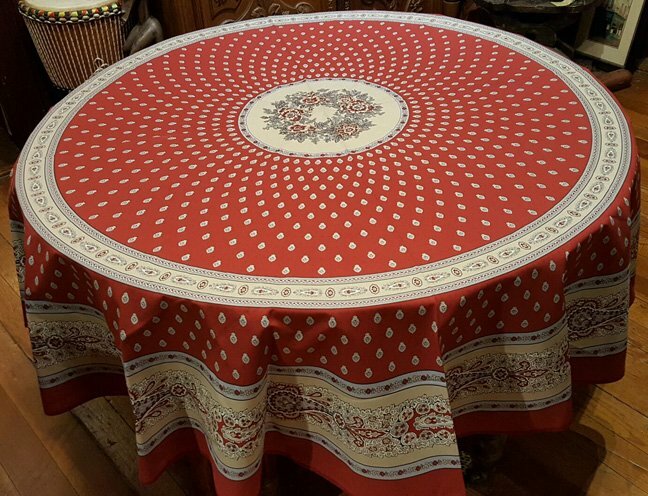 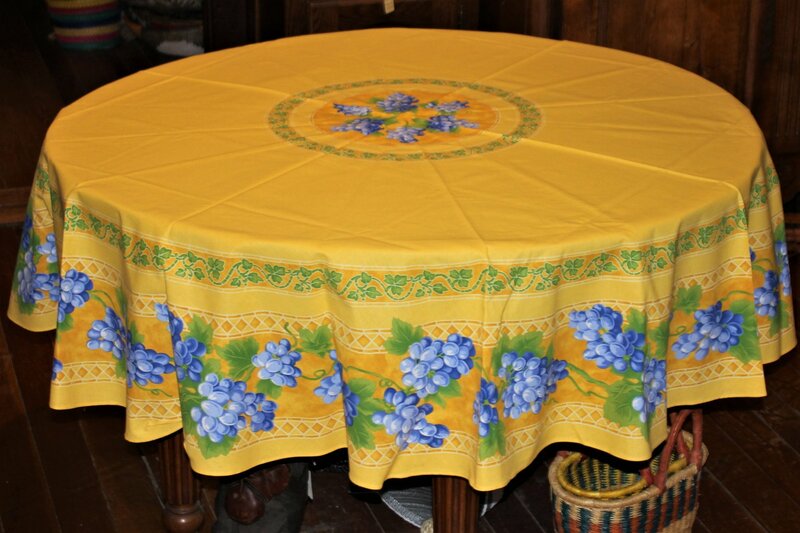 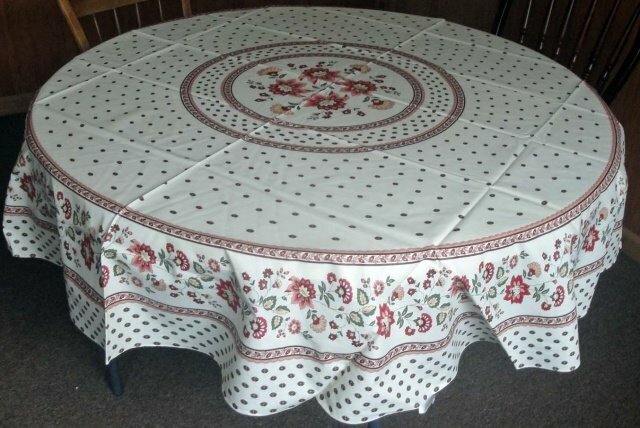 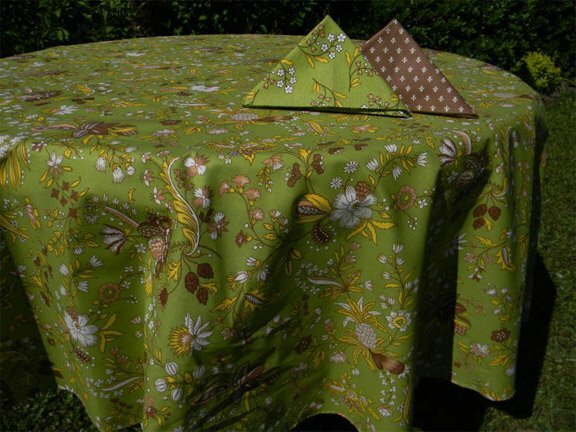 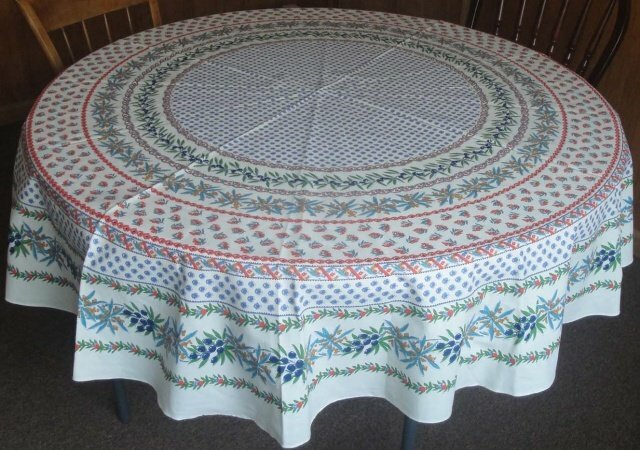 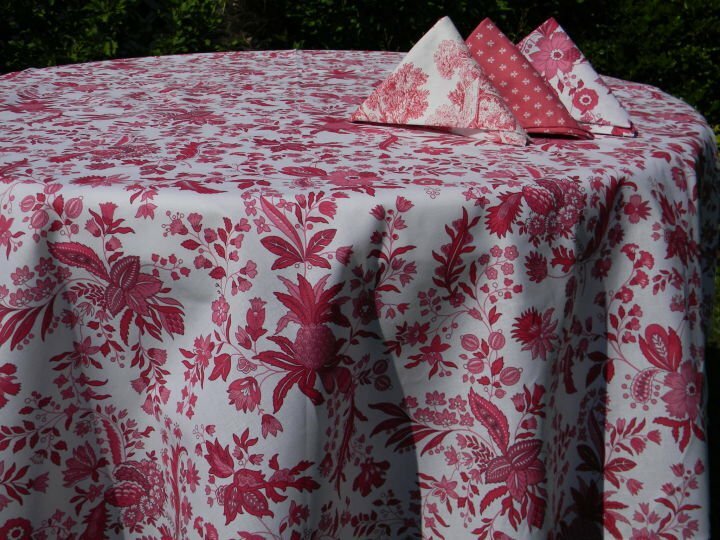 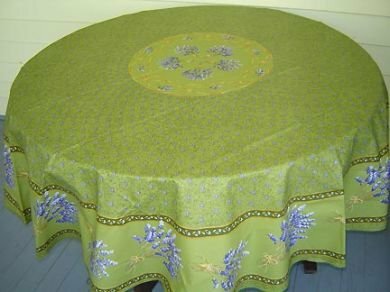 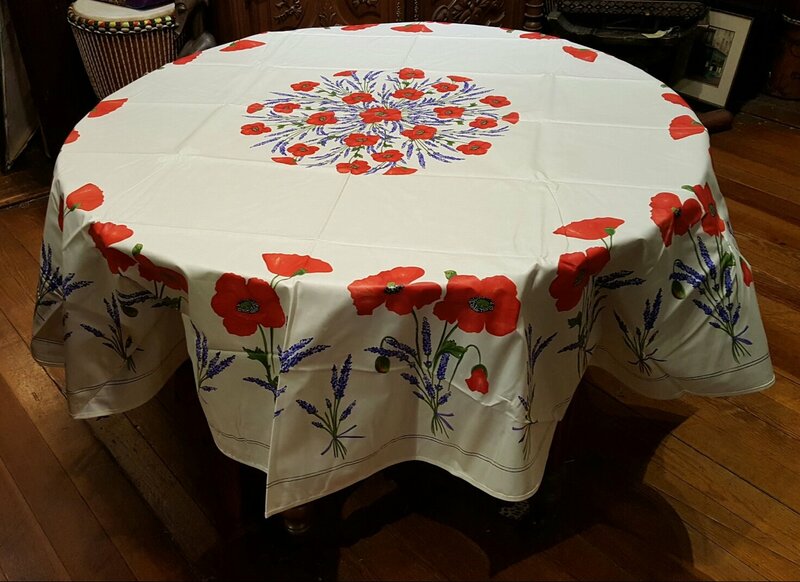 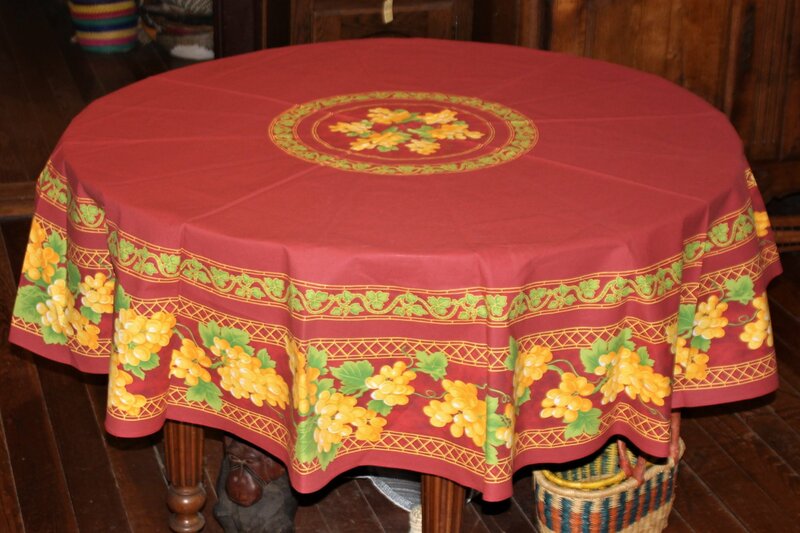 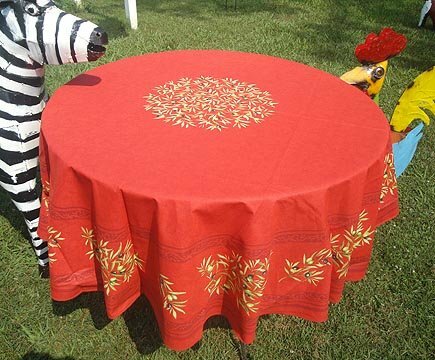 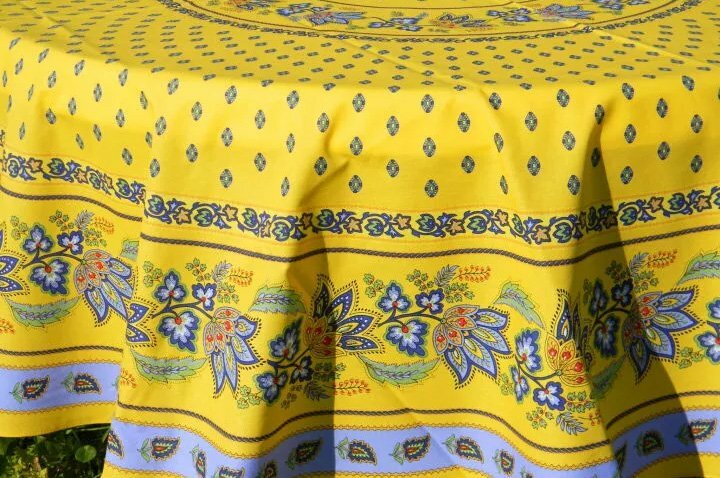 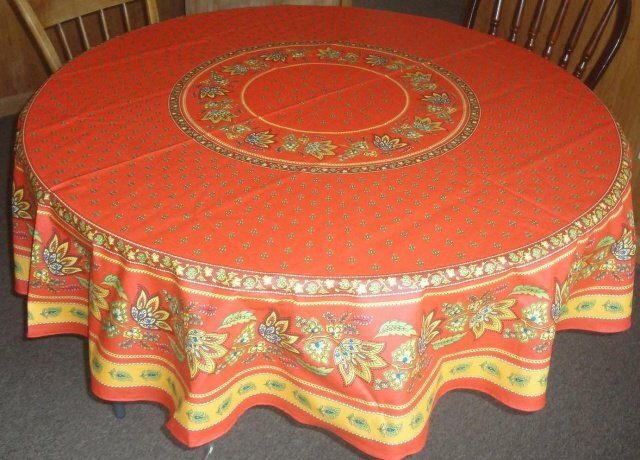 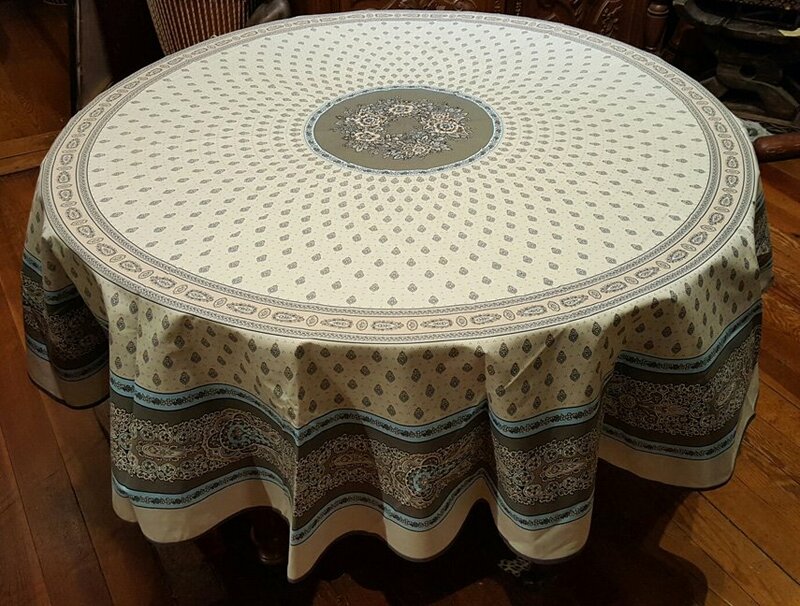 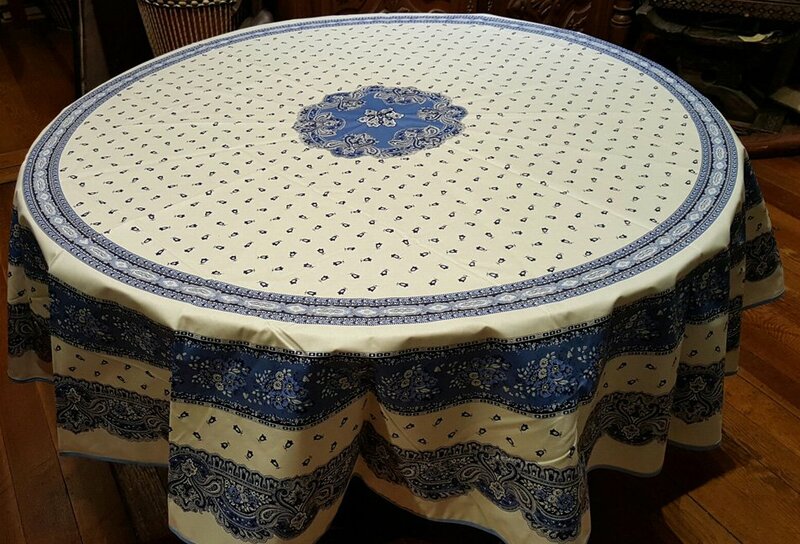 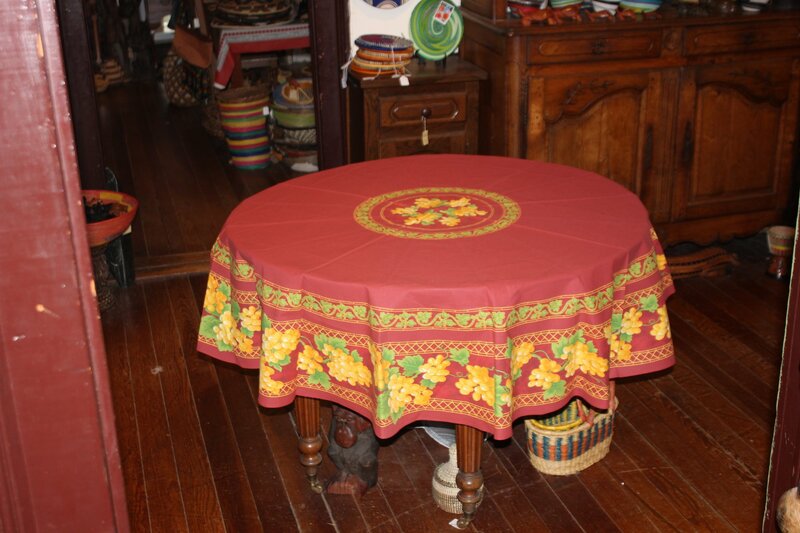 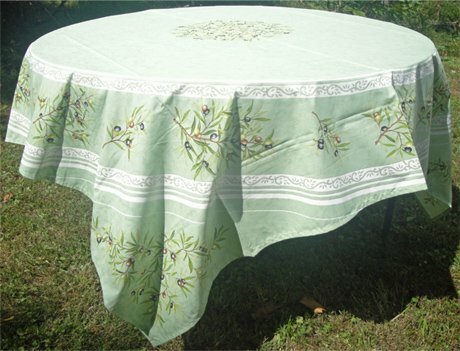 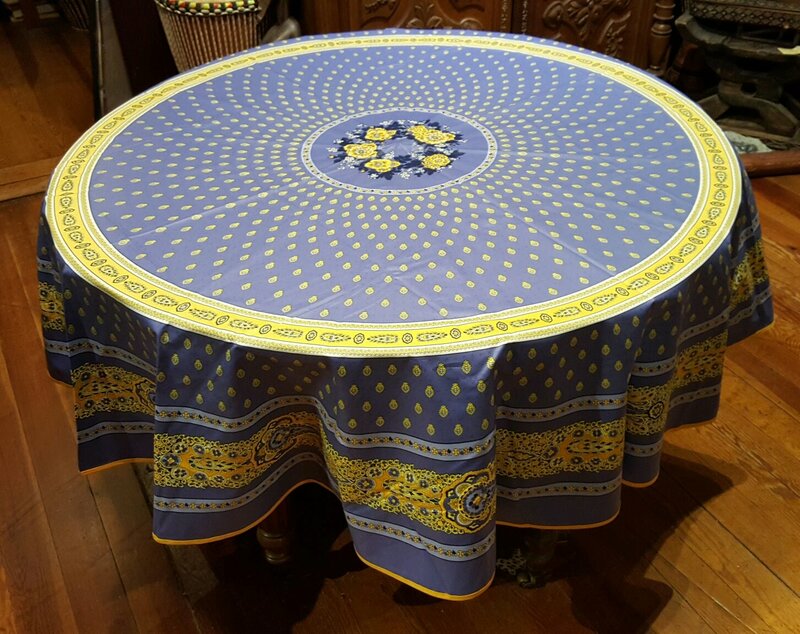 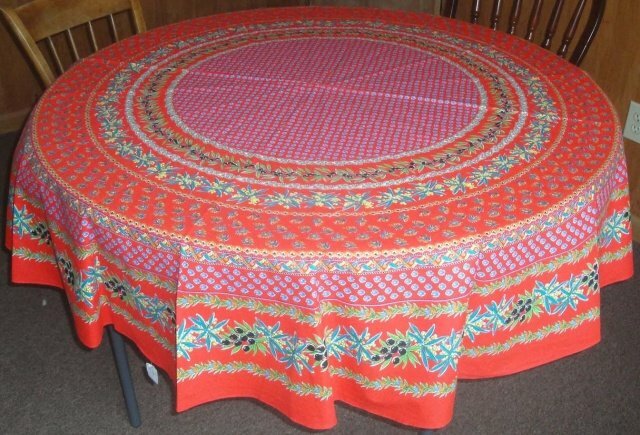 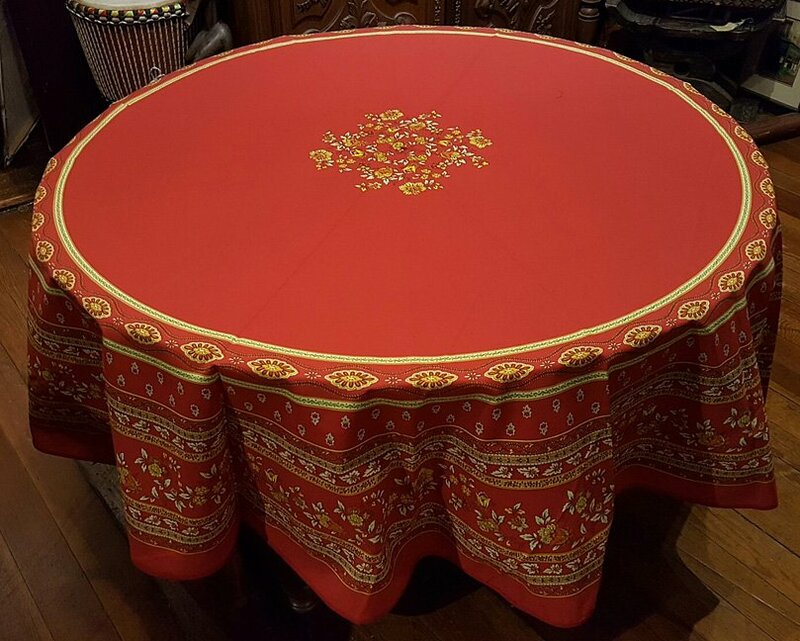 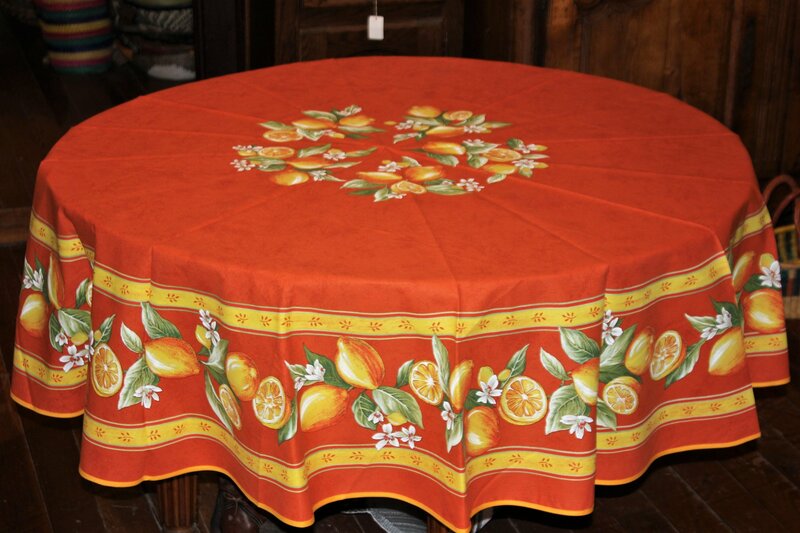 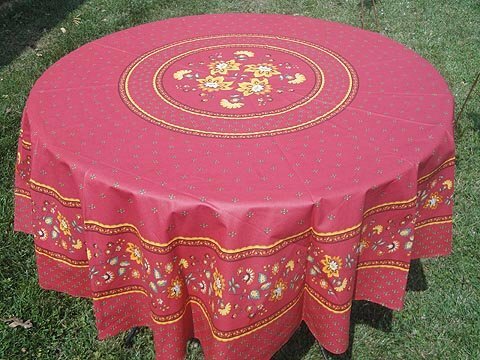 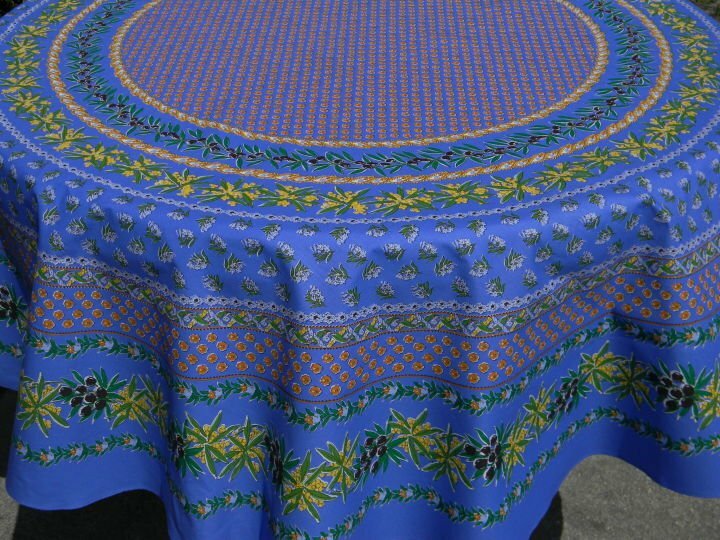 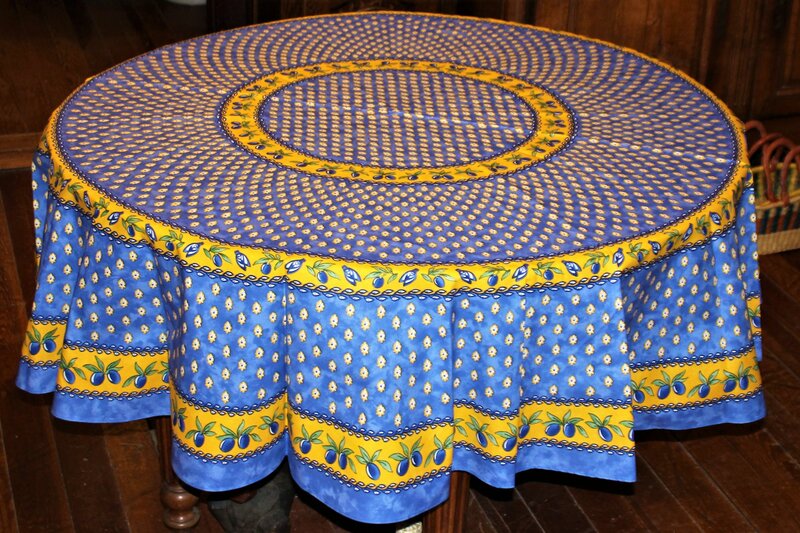 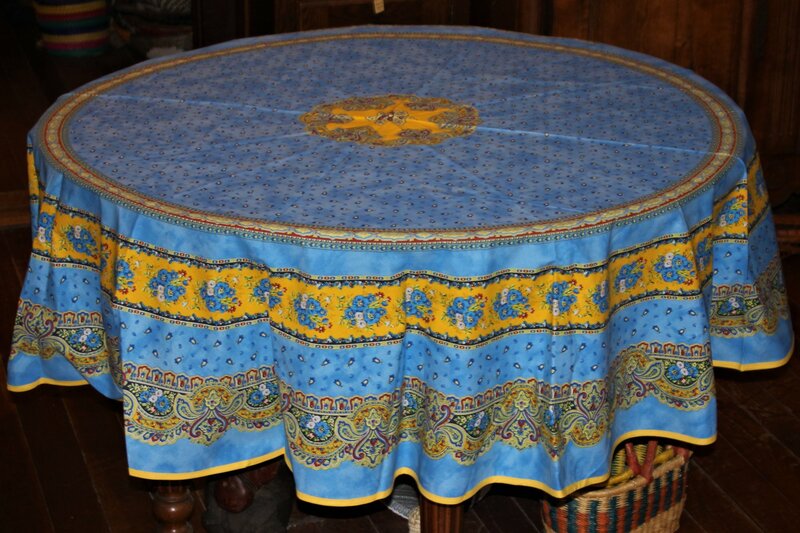 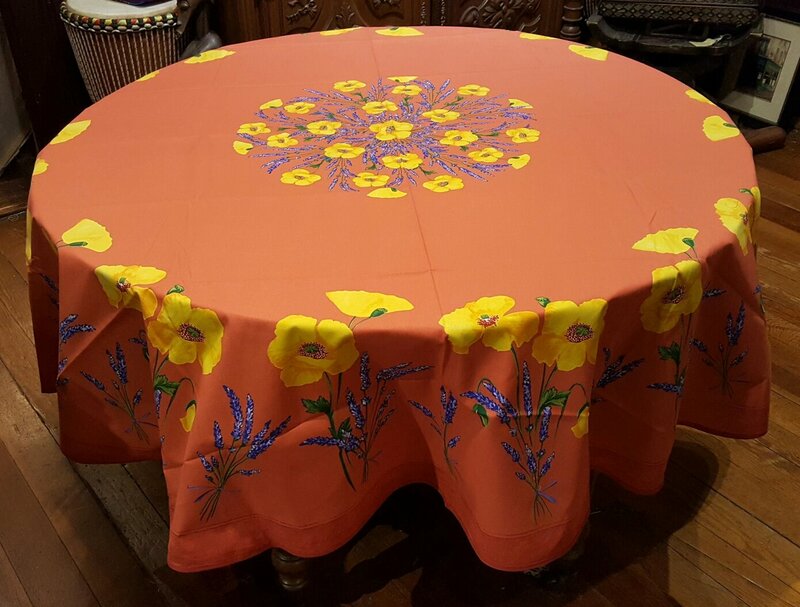 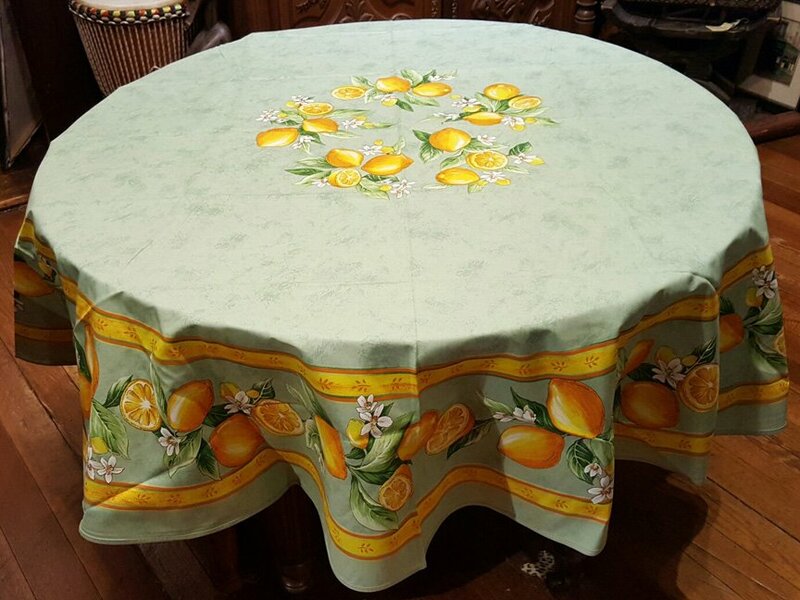 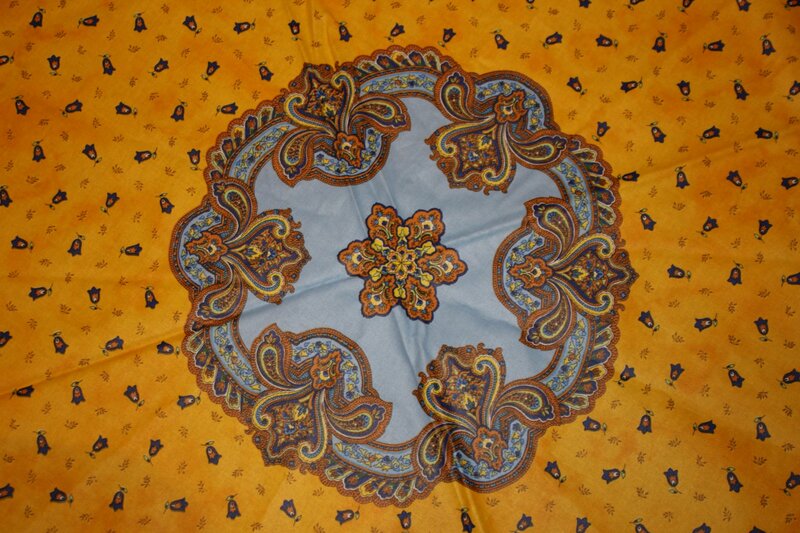 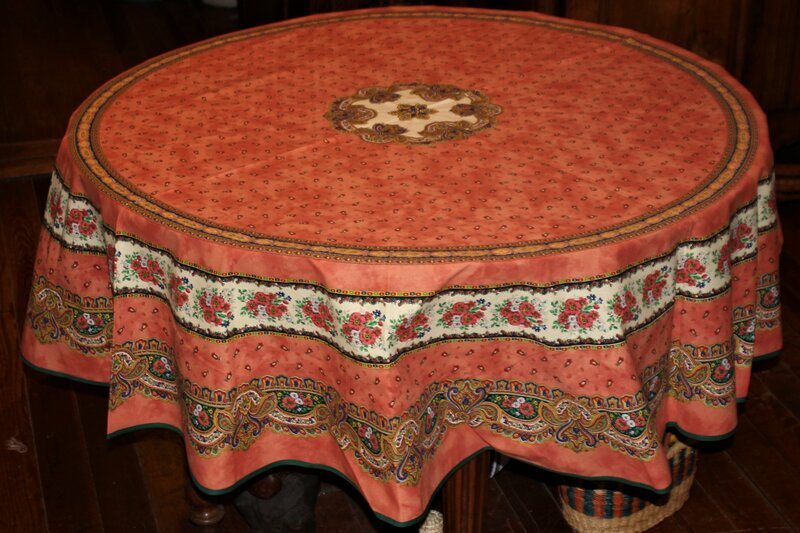 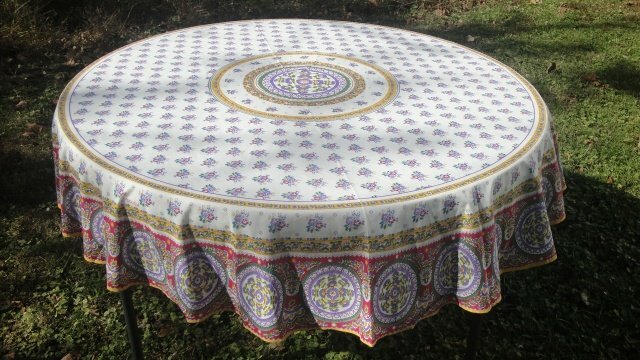 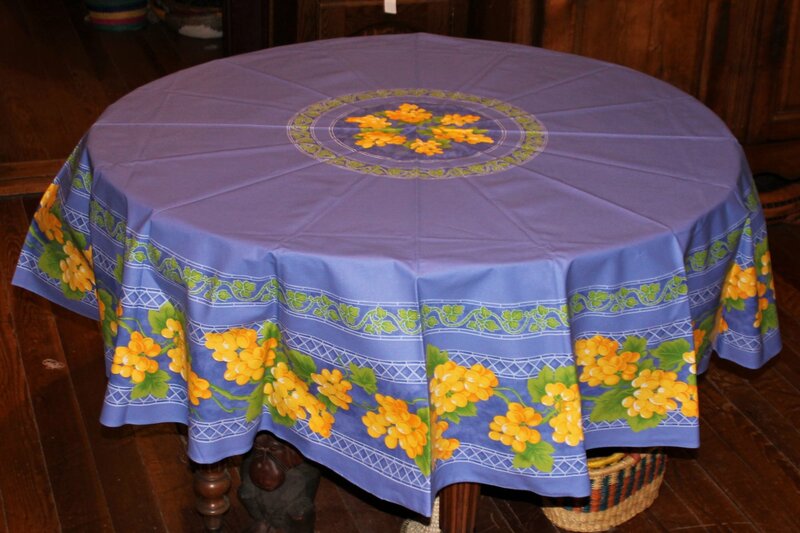 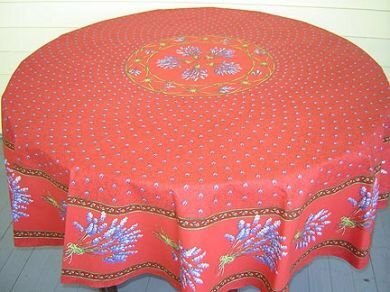 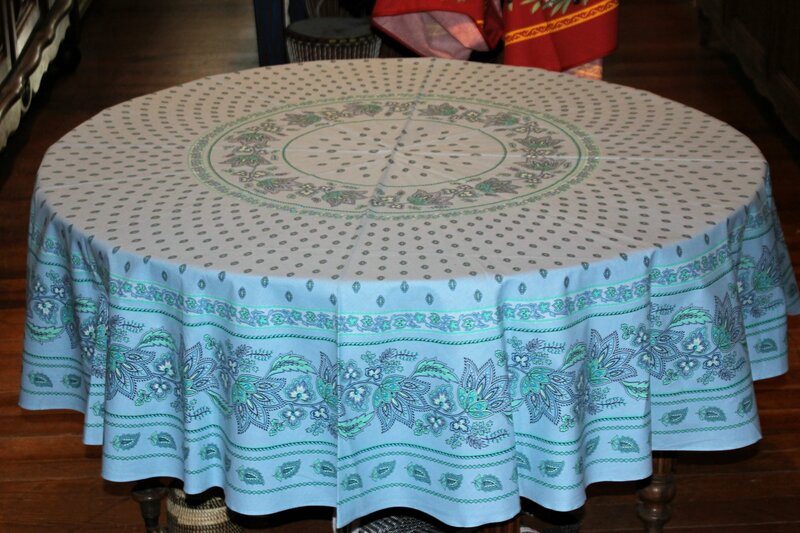 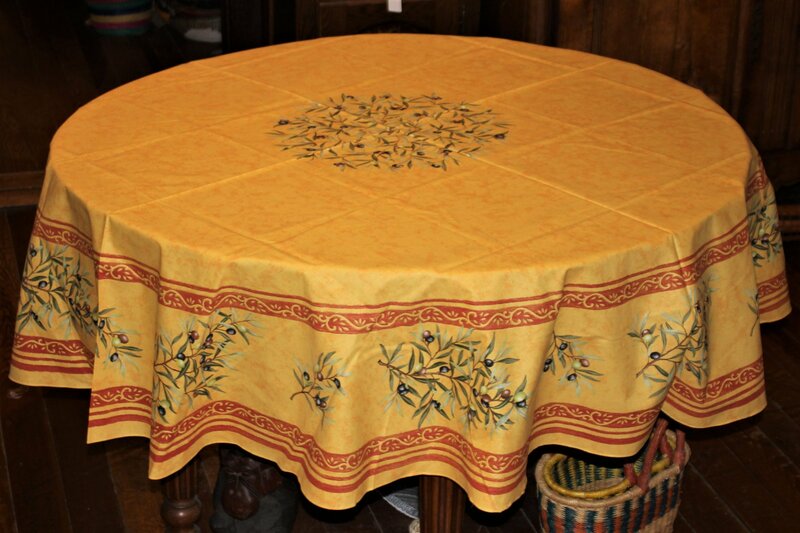 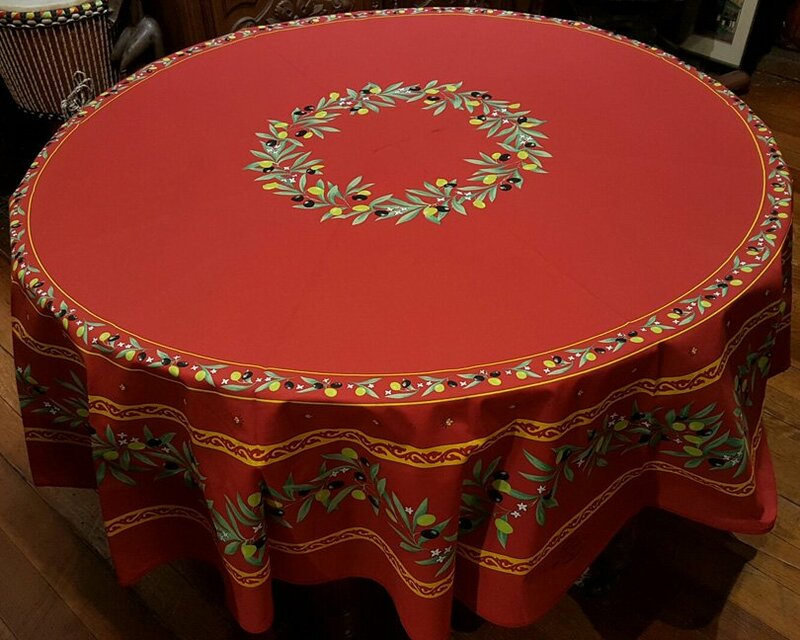 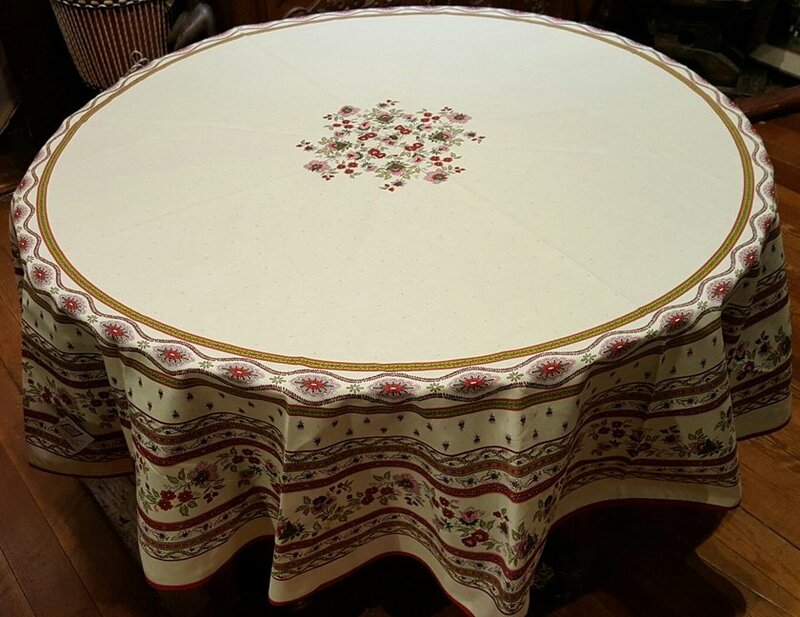 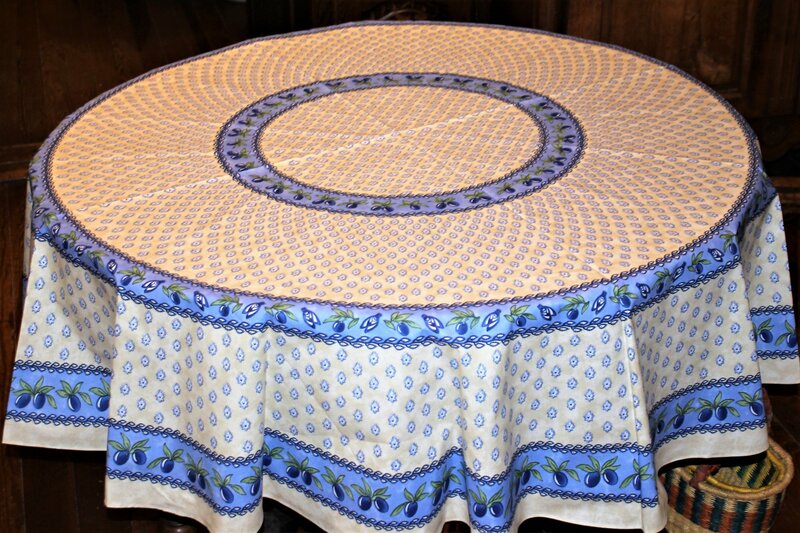 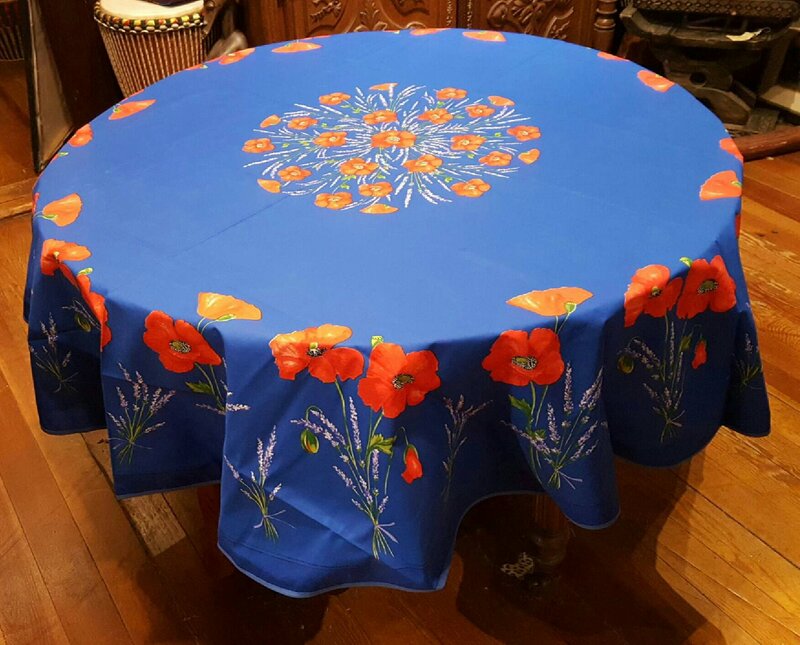 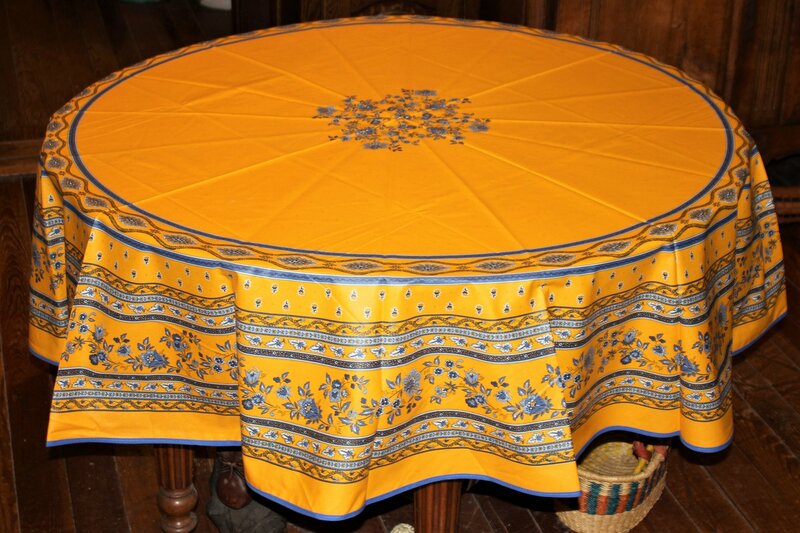 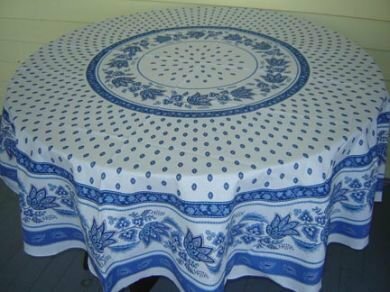 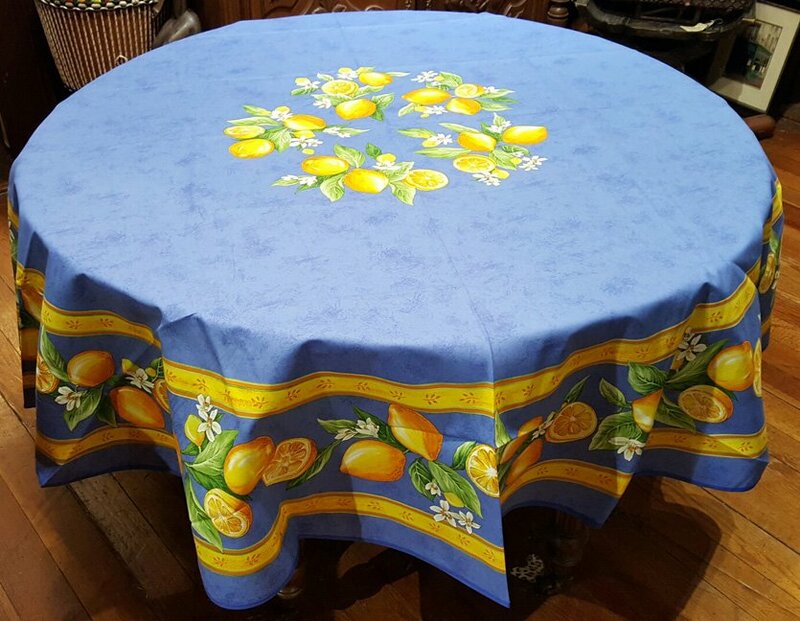 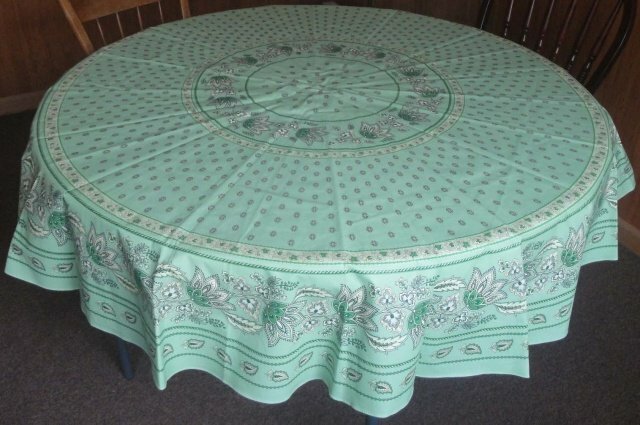 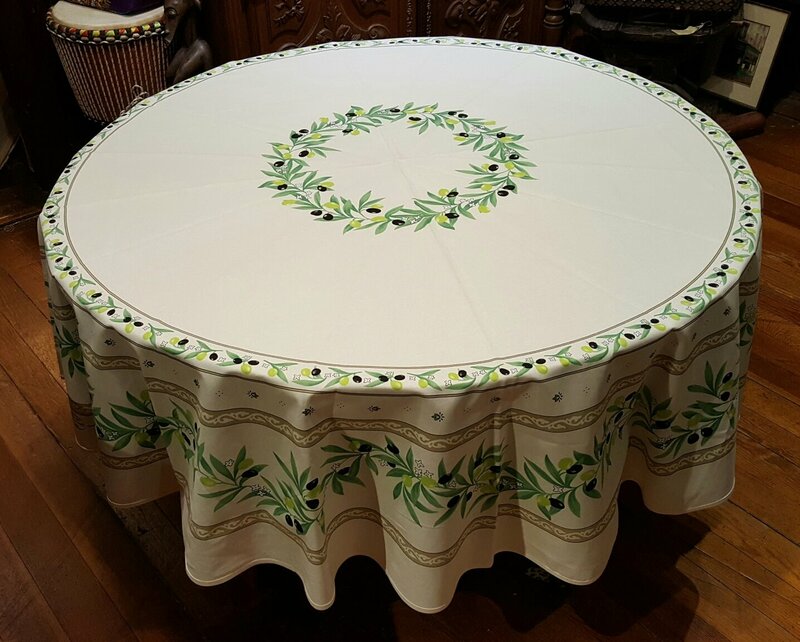 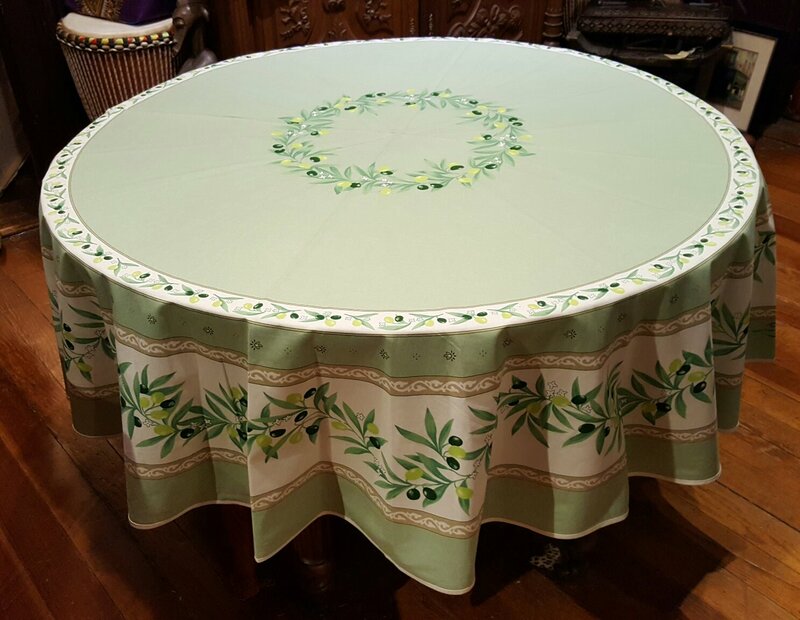 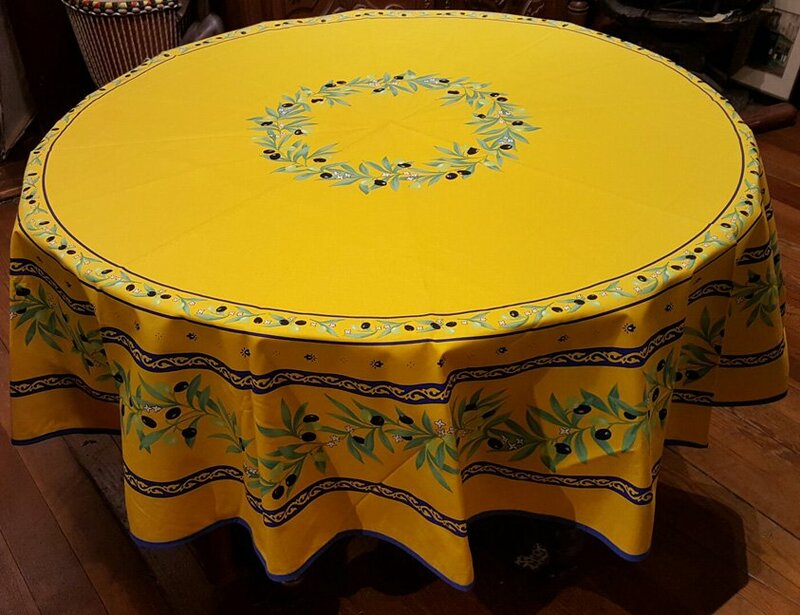 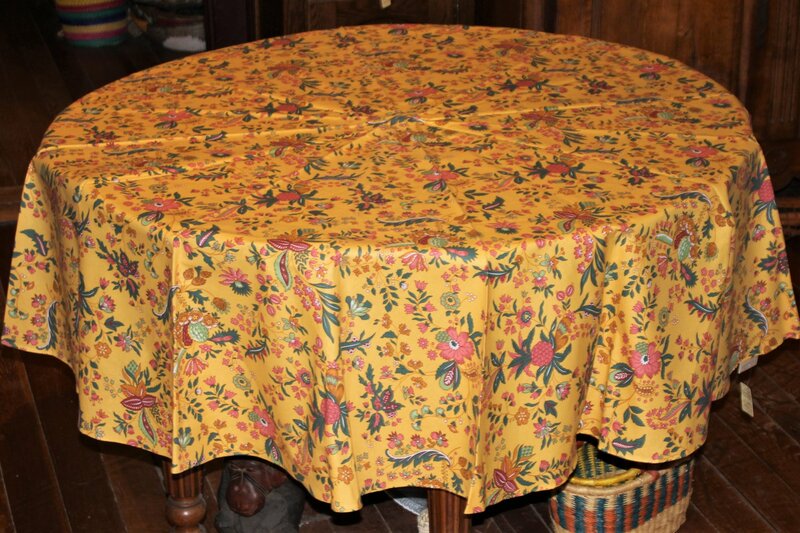 A French tablecloth can brighten up an entire room, bringing the timeless, cheerful colors of Provence into your home. 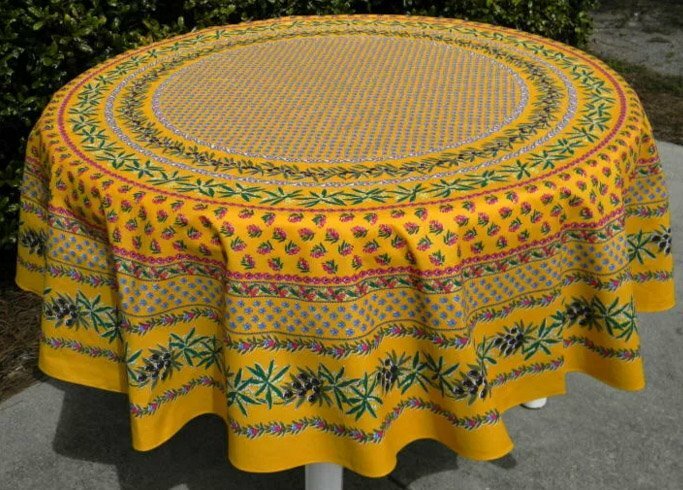 For outdoor use, consider an acrylic-coated cloth that will help resist fading from the sun. 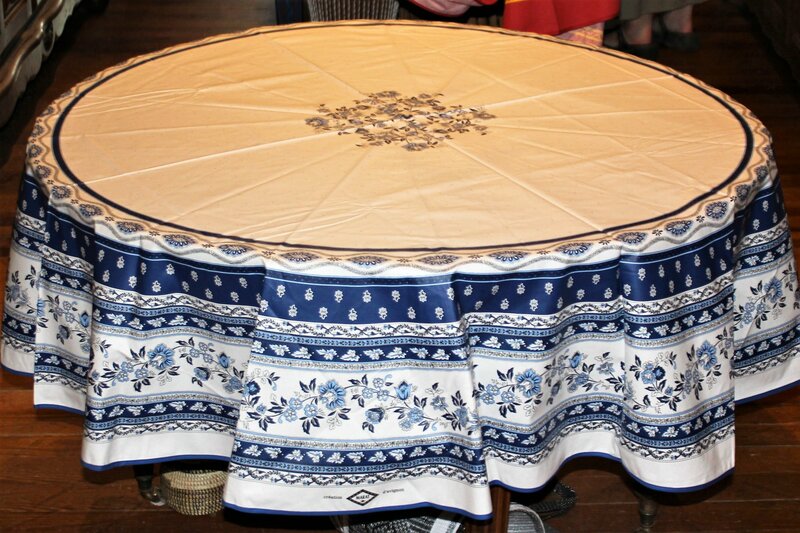 These cloths can be wiped clean or washed in the machine.